One of the nicest experiences so far has been an Aurora Borealis safari. We were out on a frozen lake, and we saw beautiful northern lights, which were moving around in the sky, flashing and lighting up. At the end of the autumn semester, we started our first practical training. 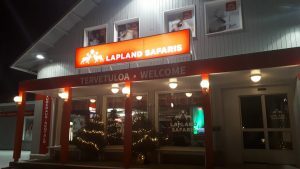 We all had the possibility to have a training place at Lapland Safaris, in their different locations. In this season, Levi, Luosto, Rovaniemi and Ylläs got the majority of our students to see what it would be like to be a real guide. 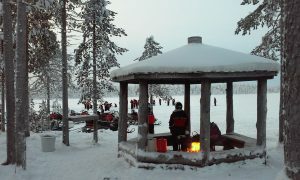 The rest of our class chose to train in other places but many of them are located in Lapland. 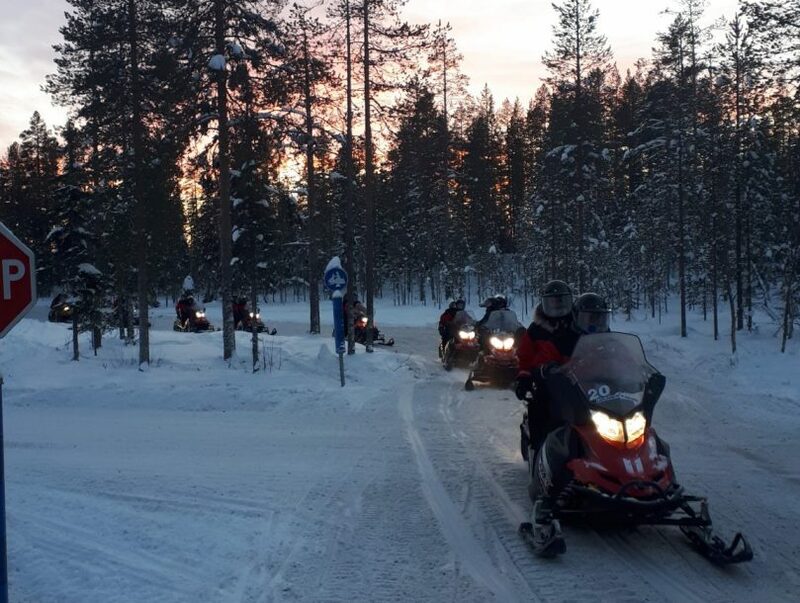 My practical training with Lapland Safaris began in the middle of November in Rovaniemi with the Tour guide course. Together with about 30 people from different countries I learned a lot about Lappish nature, tour guiding and customer service. On my first working day, I was thrown in at the deep end. I had to do bus guiding, what I had never done before, for a group of 50 people. I was expected to give the group information about Lapland and the area of Rovaniemi, but since it was just my second week being there I did not know so much myself. It was very hard, but this experience prepared me for all the surprises that were about to come during my practical training. 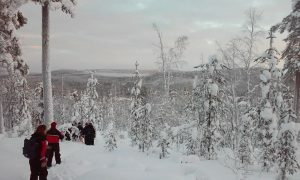 December is the busiest time of the year for tourism in Lapland. Many times, we had more than 500 people a day at only one location. My main task was to carry out “activity days”. This means that the company organises different activities at one location, like tobogganing, mini snowmobiling, and husky rides. With my colleagues, I took care that everything runs smoothly; we helped the kids at the sledding hill (yes, many kids do not know how to do that), showed the people where to go, and prepared hot berry juice. Now that December is over, I mostly do all kinds of safaris, e.g. ice fishing, snowshoeing, excursions to the RanuaZoo. I really enjoy it, because I do so many different things. I learn a lot from the older guides and I see all the different aspects of this job. One of the nicest experiences so far was an Aurora Borealis safari. We were out on a frozen lake, and we saw beautiful northern lights, which were moving around in the sky, flashing and lighting up. I am very happy that I have the possibility to be here and experience all of that! In Levi, my season started with all the new guides by taking part in the guide training. Because of the lack of snow at the beginning of the season, we were not able to try all our activities. However, when the season really started, we have been doing everything. The Christmas time (December) gave us tourists from everywhere, and we started to have more people and our special programs running weekly. At this point (half way of January), we trainees have gained a lot of experiences and professional skills. The best way to learn here is to watch closely your co-workers. Especially the old guides, who have done many seasons and know so much that you can always learn something new even if the program is the same as usual. It is good to look back and think about how much we have learned during this season already. My first-time snowmobiling took place in this season, on ice, and I was just spinning. Nowadays I have multiple snowmobile safaris every week. It´s also nice to see that doing your best leads to more trust. My co-workers want me to have the best trainee season ever, and they let me to have some responsibility, so I can learn, and you aren´t able to have those responsibilities without trust. I maybe have a hot berry juice overdose already but despite that I can´t think any other better place to be right now.